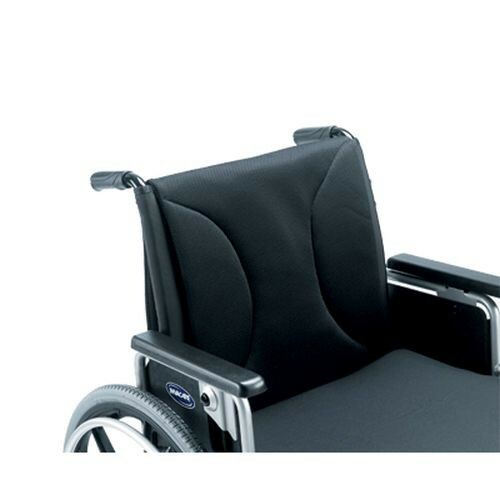 Invacare Versair Wheelchair Back is designed for comfort. It provides maximum support, is easily adjustable, and gives optimal postural support and pelvic stability. It is lightweight and made from mesh upholstery, which wicks away moisture and heat. It has 2 inch tension straps that can be adjusted to match each individuals comfort needs. It easily folds with the chair for transport and storage. This wheelchair cushion is one of many that are available in a variety of sizes; 16 to 21 inch wide/15 to 17 inch high, 16 to 21 inch wide/17 to 19 inch high, 21 to 26 inch wide/15 to 17 inch high, and 21 to 26 inch wide/17 to 19 inch high. It is soft, provides comfort to wheelchair users, and supports up to 500 lbs of weight.